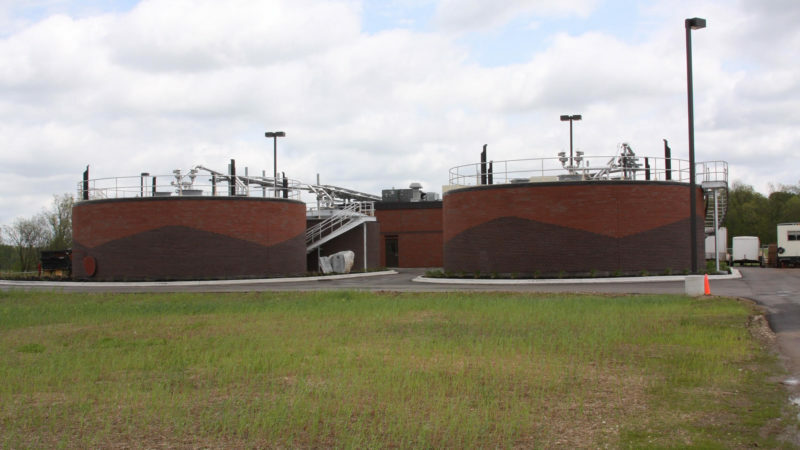 In a concerted effort to utilize an artistic element and to be innovative and creative, the Delhi Township Wastewater Treatment Plant was renovated around 2010 and an artistic brick pattern was added to the tanks by the Dept. of Public Service. HRC transformed Delhi Township’s traditional waste treatment digestion process into an “earth-friendly” chemical-free process through the first American application of the Integrated Biomass to Energy System designed by Michigan based HESCO. This “green” approach provides usable Class “A” biosolids and generates electrical power through the capture of methane gas.